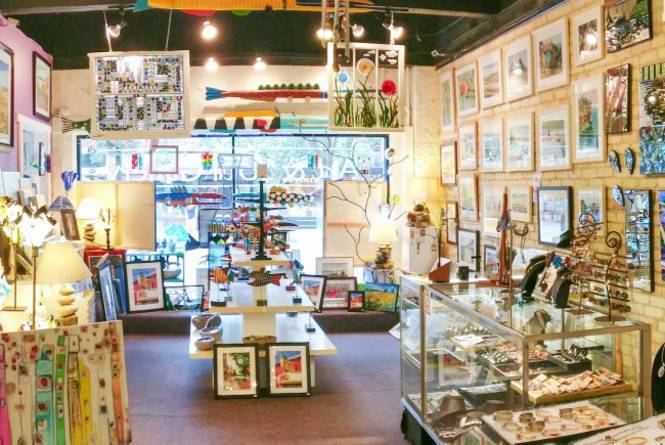 Amy and Steve Stinson's Art & Soul Gallery is a spontaneous and exciting environment. Not unlike a juried art show, new works arrive daily from around Michigan and are displayed beautifully. Fine art work; like clay, fiber, fabric, glass, jewelry, metal, paper, paintings, photography and wood are the Gallery's main focus. Works that are fun, whimsical and inspiring are throughout this colorful gallery!